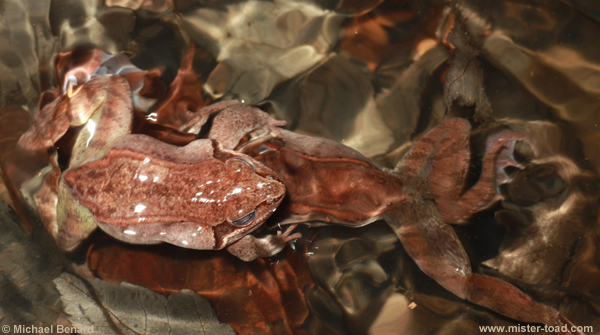 Wood frogs (Rana sylvatica) gather together in large leks to mate. In these leks, males are much more common than females, typically outnumbering females by at least two to one. The males arrive first, and begin calling and wrestling with each other. 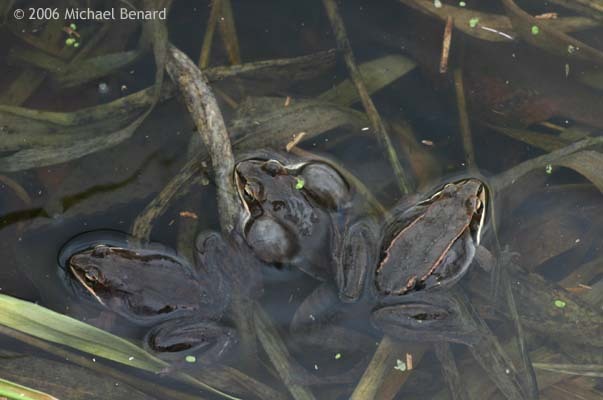 As female wood frogs arrive at the ponds, they swim toward the center of the lek. As the females enter the leks, multiple males will grab them, clinging to each female until one male wins out. This particular mating behavior, in which the male clings to the female, is known as amplexus. The females will typically each lay a single egg clutch consisting of about 400-1,200 eggs. The photos above show a group of calling male wood frogs photographed during the breeding season in Livingston Co., MI. Use the player below to listen to the sound of a group of calling wood frogs. 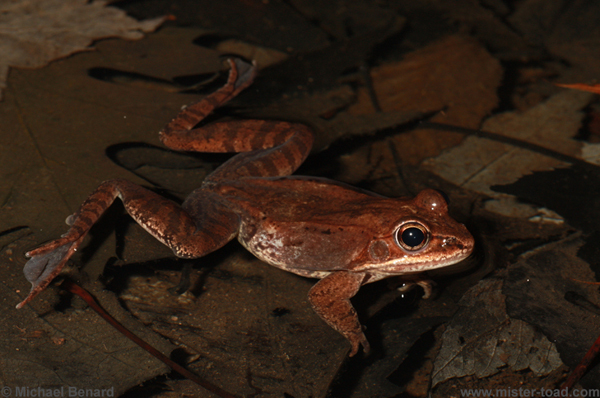 The wood frog call sounds a little bit like a clucking chicken. 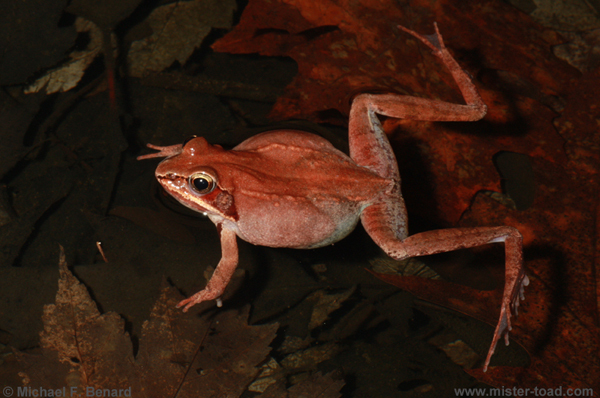 The high pitched sound in the background is from a group of calling spring peepers (Pseudacris crucifer). 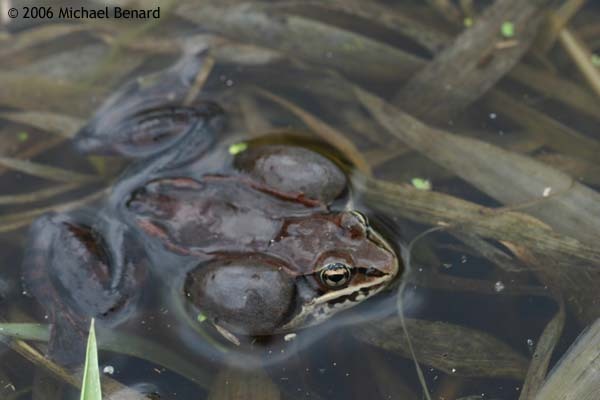 The videos below show more of the fascinating mating-season behavior of wood frogs. Sometimes the male wood frogs are in such a mating frenzy that they will grab other amphibians and cling to them like they would to a female wood frog. In the video here, a male tiger salamander has come too close to the wood frog lek, and has been grabbed by several males.